94 x 148 mm, 3 ¾ x 6 in. 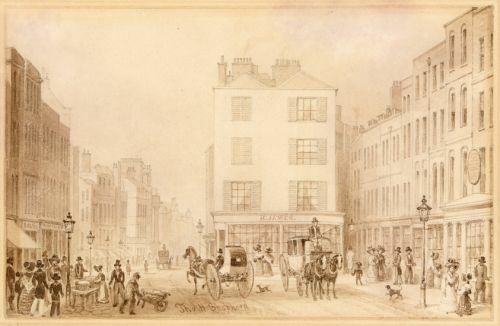 Middle Row was a detached group of buildings that used to stand in the middle of Holborn. 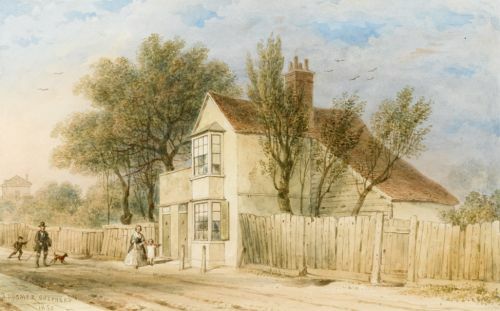 Shepherd depicts it from the west with the Gray's Inn Road to the left. The younger brother of George Sidney Shepherd (1784-1862), Thomas Hosmer Shepherd specialised in London views.